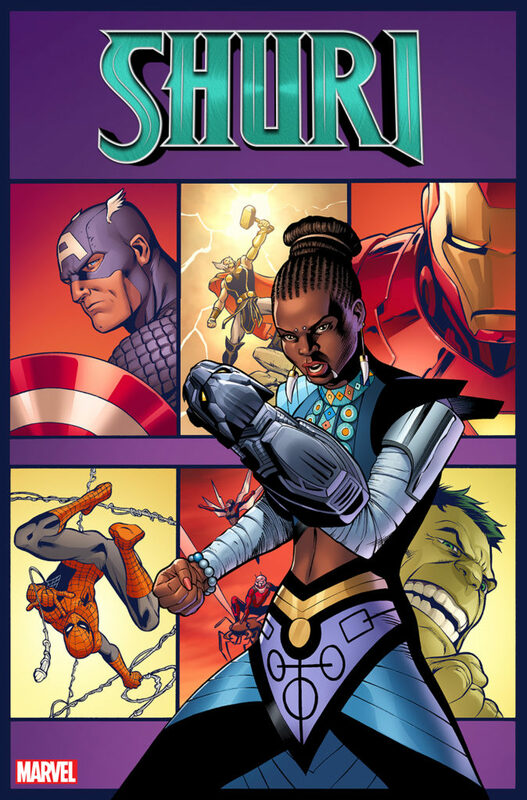 This entry was posted in Pixel Scroll and tagged Anne Rice, Aquaman, Batwoman, Black Panther, comic books, J.J. Abrams, James Bond, JJ, Lego, Marvel, Nnedi Okorafor, Shazam!, Shuri by Mike Glyer. Bookmark the permalink. HELP! I went to vote in the Site Selection, and when I told it I was a supporting member via site selection, it told me I need to ” Enter the voter access code you received * ” — I’ve entered my Hugo pin number and that didn’t work, so I searched my old emails and found a Bxxx-xxxx number and entered that and it says “No more “Bxxx-xxxx” codes are being accepted for this registrant type. Enter another code or contact your event administrator.” (the x denote integers from 0-9). I honestly don’t know what other code to use. I thought I’d seen a File770 article on the process but I can’t find it…. I know I need to buy a token, but it doesn’t seem to want to accept my money. I’d rather not print out the ballot and mail it, but that’s starting to look like my best option…. Anyone have any suggestions? Heck, if I even knew the format of the code it was looking for I’d have a better chance of finding it. That Lego sakura looks like an incredible feat of engineering; I wonder whether they managed all those cantilevers without struts, wire, glue, … all of which would I think be cheating, but even the brand-new Legos we assembled a rocket with at the 2013 Worldcon didn’t seem to fit together tightly enough to take the side strain. (13) Don’t let Spain design your subs, clearly. 6) Kristen Bell is also one of the stars of The Good Place, two episodes of which are on the Hugo ballot this year. 13) Costly planning mistakes like this one sadly aren’t rare, though the public often doesn’t hear about them. I occasionally get reports about cases like this to translate. Usually, they are lengthy justifications, sometimes with elaborate graphics and calculations about why it’s not the fault of whoever wrote the report. One of my favourites is the case of a military vessel where some genius placed a grenade launcher too close to the hot exhaust gases from the smokestack. As a result, the grenade and launcher went boom. 14) Bremen is an Airbus production site, so the Airbus A300-600ST a.k.a. Beluga is a frequent sight at the local airport and sometimes also in the air right above my house. 13)/@Cora — My favorite recent example (well, maybe not that recent?) was the office building in London whose aesthetically-pleasing curved side focused the sun’s rays to car-melting intensity. (5) THAT SOUND YOU HEARD. Ooh, great! ::updates book list:: The cover launch post at Orbit’s site is here. I’m a little surprised he’s reverting to his real name, but anyway, this sounds awesome! (1) yay! 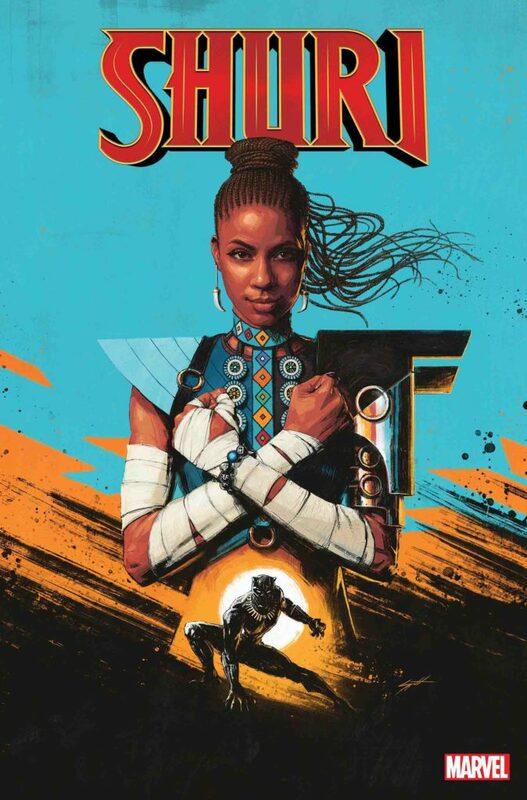 Will look out for Shuri. Am reading Naomi Novik’s Spinning Silver. Can’t find my socks. This is a little scary, in view of all the frothing rage about “SJWs” that we have seen. A story about a guy who started out with GamerGate, escalated to full-out culture warrior and then killed his father. And the culture warriors who enabled, fanned and monetized his rage have scrubbed his name from their product, said “Tsk, tsk” and gone back to work. 6) Kristen Bell is Princess Anna in “Frozen”, the two Frozen shorts, and is appearing again in the upcoming “Frozen 2” in November 2019. Her singing chops were good enough to stand as an equal with Idina Menzel (goddess of song) in the movie and shorts. “Frozen” was nominated for a Hugo when it was eligible, so the role is certainly genre-related. This scroll may be recorded and monitored for Pixel performance. 4) I’m going to regret it–but I am looking forward to Shazam. It’s surely more of a quindent. 3) I’ll be interested to see what they come up with. The Arrowverse shows are bad, but they’re fun bad, and I like to have them on in the background while I write or draw or hook rugs or whatever. 8) Not super shocking that print sales are down, although I mostly stopped buying digital because a) I’ve never liked the official apps for reading, and b) I was running out of drive space. I mostly buy graphic novels only these days. The biggest reasons are: creative teams seem to shift much more often now than they used to, often mid-story with lots of “temporary” substitute writers and artists who will take over for as much as six months or more, and the corresponding inconsistency in quality (never mind negating a big part of the book’s draw) is extremely frustrating. Also frustrating is the frequent series rebooting (often carrying over the same story just with different numbering), “epic” crossovers, and on and on. I was a HUGE comics nerd in high school in the ’90s, and was really adept at tracking stories across different books and following creators’ careers in the days before the Internet and when my comics came exclusively from the racks at convenience stores and drug stores–and also at a time when novelty “events” and reboots were rampant–but even I can’t track what’s going on with my favourite books/characters and creators these days. As a result: less buying. 17) Momoa was one of the least bad elements of Justice League, so I’ll probably watch this when it shows up to rent on iTunes. @Cassy B, I would suggest writing to registrar [at] worldcon76.org. But I know the codes for having voted in site selection two years ago are no longer active. Instead, you should already be in the system as a supporting member. So you might try logging in first, under whatever your email was at the time. Click on “forgot password” to set a password. @Cassy B: What Lenore said. To get your membership number, if none of the RegOnline functions are working for you, write to the Registrar. Recovering your credentials should work as well as long as the e-mail matches. You don’t need any sort of credentials to get a blank ballot, so I’m not understanding that part of your message. Just download the form from http://www.worldcon76.org/wsfs/site-selection. But as you said, if you want to vote by e-mail instead of printing and sending it with payment through paper mail, you have to first get into your Worldcon 76 account (see above) and purchase a voting token. You can then put your membership number and voting token information into the PDF, save the PDF (it’s a fillable form, and PDF reader software should allow you to save the filled out form), then e-mail the form as explained in the instructions. If none of this works, write to site-selection [at] worldcon76.org and we’ll do our best to help you. @Cora: As a result, the grenade and launcher went boom. I’d [facepalm], but this kind of screwup seems to be way too common. My favorite was the episode decades ago when a NATO self-propelled anti-aircraft gun aimed at the reviewing stand instead of the airborne targets during a demonstration. The “incident” report blamed the fact that the new toy had been washed the night before so it would look spiffy at the parade — ignoring the fact that anything intended to stop an invasion through the Fulda Gap (or anywhere else in central Europe) should be able to tolerate rain, snow, and other natural issues. SHAZAM! The comic book was always bubble gum. 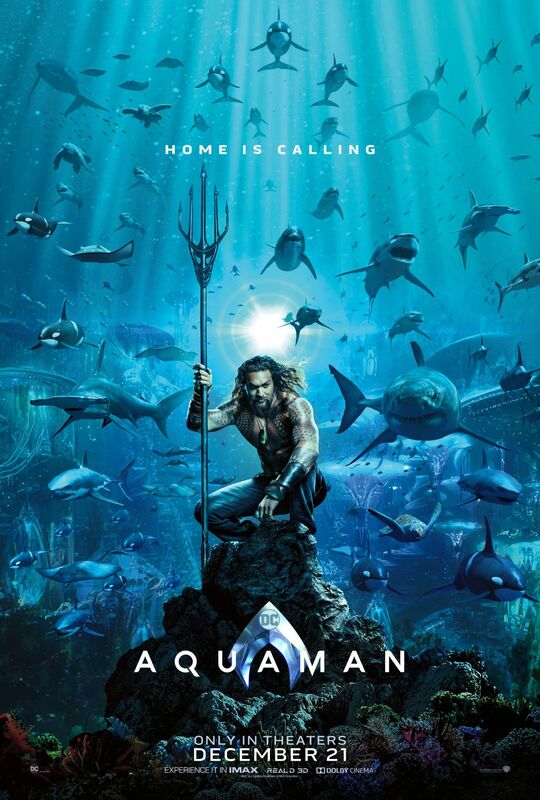 The cinematic version of Aquaman looks fine–I mean, in the comics, Aquaman looks like an over sized goldfish in tights. Update: With Kevin Standlee’s able help, I managed to fill out and send my site selection ballot. I don’t know why I was having so much trouble; must just be one of those days…. 5) Great cover, and I’m intrigued, but the title could have been more original. A quick Amazon search brings up at least three different books named “the last astronaut”, none of which appear to be this one. (1) This will be a hit. I’m Shuri of it. (2) This, not so much. I like zombie movies as much as the next bloke, but this trailer does not impress me at all. (3) I’d heard about the Batcrossover, and have my fingers crossed for a series. (4) “uttering a single world”? Now that’s impressive! (15) I have a bad feeling about this. 1. Select Fill & Sign from the right side menu. 2. Select Sign from the top-of-screen menu. 3. Follow Adobe’s instructions for creating a signature (there are multiple ways to do this). 4. Put the signature block in the signature area of the PDF. 5. Save the file before e-mailing it. As Cassy said, for some reason the bot doesn’t always include the token (this is being researched), but there are several of us monitoring the site-selection e-mail address, and we can access the token table and send it to you manually if necessary. Scoll as it ever was… scroll as it ever was…. It would be wonderful to be able to watch an episode of a new television series, or a new movie without feeling like I need to brace myself for the inevitable anti-trans joke. ”Escapist” fiction gets a bad rap sometimes, but I feel like this is mostly due to the number of people for whom most of this fiction is escapist because they aren’t the ones getting fed to the wolves for a cheap laugh. I included the first sentence for context, but it’s the second that really struck me. Naturally, in the context of this website, I think in terms of the staunch “anti-SJW” opposition from certain factions. How many times have they lambasted liberals and SJWs for having no sense of humor, and how often do they long for the days of good old “politics-free” fiction? The lack of an appetite for stories and humor that rely upon painting minority communities as acceptable targets for hurtful imagery should not be political. It should just be decent. (13) I always liked the Antarctic Snow Cruiser which was a cool idea except it lacked traction on snow and ice. Something they might have tried out before getting it to Antarctica. @ Rev. Bob: The lack of an appetite for stories and humor that rely upon painting minority communities as acceptable targets for hurtful imagery should not be political. It should just be decent. Apparently somebody on the Worldcon 76 concom sent out an e-mail to the Hugo finalists requesting that they all wear semi-formal attire for the ceremony “as we are striving for an elegant, professional looking event”. Artist GoH and ceremony MC John Picacio had this to say in response. I suspect that the request will be walked back shortly, if it hasn’t already happened by now. I thought I heard recently that they were trying to keep the DC Cinematic Universe uniformly dark and gritty, in order to reduce the potential entertainment value of their movies distinguish themselves from the MCU. 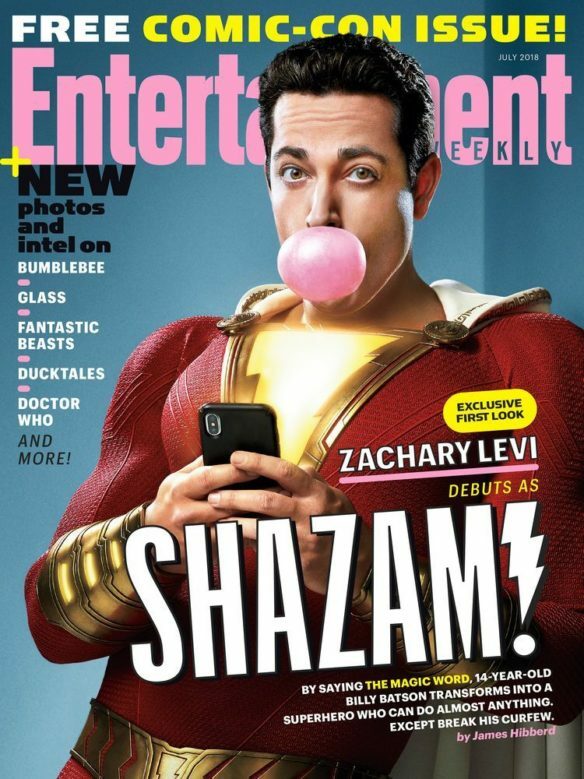 From that image, it looks like Shazam! will be anything but dark and gritty. Ryan H: A quick Amazon search brings up at least three different books named “the last astronaut”, none of which appear to be this one. There’s a 1963 novel by Pel Torro aka Lionel Fanthorpe, a novelette by a self-published author, a novelette/novella by a different self-published author, and a novel by yet another self-published author. Amazon’s other listings are for an album or for songs. There appears to be an indie film by the same name currently in production. So I don’t really think there’s going to be a huge amount of confusion. That’s a delightful bit of round-robin filking! Bravo! @Cassy B: Thanks for posting about your experiences. I ran into other problems and aborted my attempt, but your comments reminded me to do Site Selection. Heck, your first comment was enough to get me to try it, which I know sounds weird since it was a plea for help on your part. 😉 I’ve e-mailed the Site Selection e-mail address for assistance based on your positive experience. 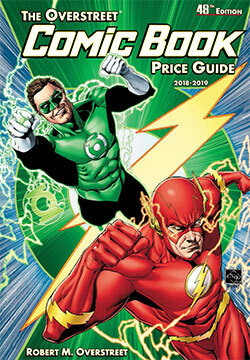 @Kevin Standlee: Thanks for posting the tip about signing! I’m using MacOS’s Preview; I see it has a similar feature, yay. My signature will look like garbage, but I presume that’s fine. 😉 I e-mailed for assistance (cringe); thanks in advance. Also this time I’m remembering to Godstalk! Titans trailer! Well, it’s definitely a DC show – “dark,” same type of intro/trailer music as every other one. Hey, Hawk & Dove make an appearance! Probably not for me, but anyway. . . . I recommend the book and the movie The Pentagon Wars about the development of The Bradley Fighting Vehicle, “a troop transport that can’t carry troops, a reconnaissance vehicle that’s too conspicuous to do reconnaissance, and a quasi-tank that has less armor than a snowblower, but has enough ammo to take out half of D.C.”. The book “Great Military Blunders” and the TV series (32:00) also has a wonderful chapter about the development of the Patriot Missile.